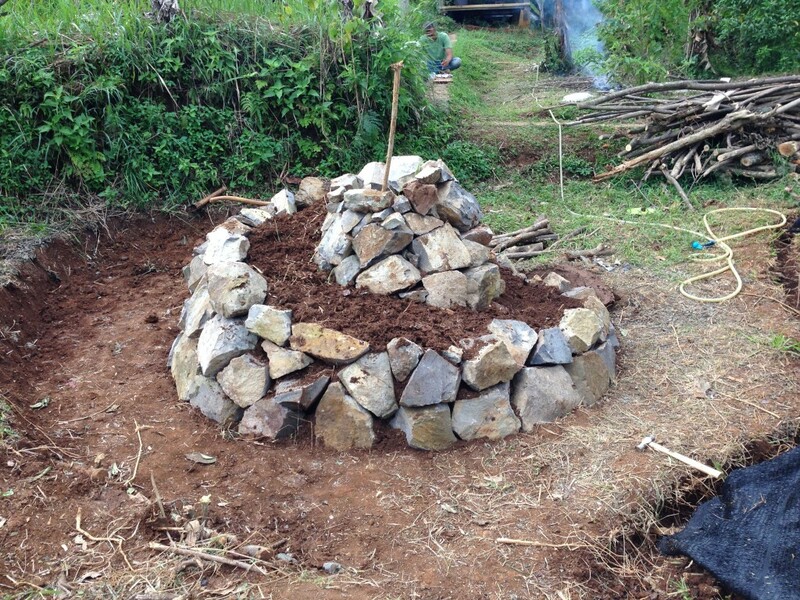 How to build a beautiful herb spiral. 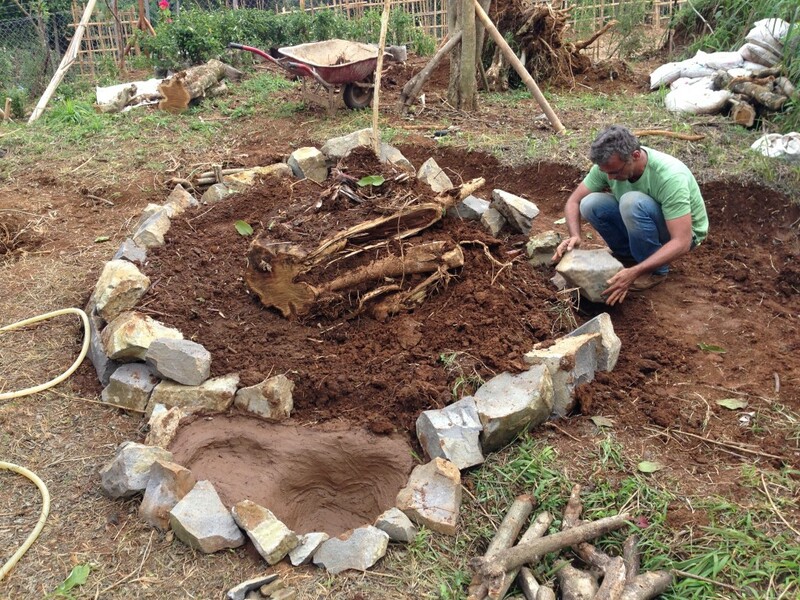 Herb spirals are a great permaculture design element that unite aesthetics and practicality while minimizing the space required to grow a large variety of plants. The major advantage of building a herb spiral as opposed to planting your herbs in a conventional garden bed is the creation of microclimates: herbs that require full sun exposure and a dry, sandy soil are planted on top of the spiral while those requiring least sun and most moisture at the very bottom. All other herbs are planted according to their sun and moisture preference in between, as the graphic below depicts. It is important that you observe how the sun travels over the spot that you’ve chosen for your herb spiral as to make sure that those herbs requiring shade are planted in the shadiest area – usually this is north, although it may depend on trees and other factors on site. Furthermore it makes sense for your spiral to unwind clockwise in the northern hemisphere and counter-clockwise in the southern hemisphere. 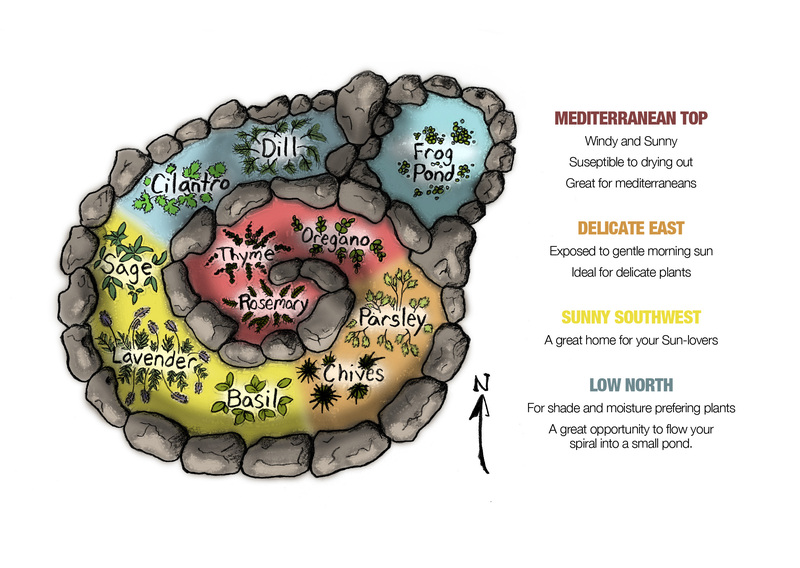 Choose a good spot for your herb spiral: preferably an area that’s well exposed to the sun (in the tropics a little bit of shade is also fine) and in relative location to where you’ll use your herbs, your kitchen. Decide on the size of your spiral: generally you should aim for a diameter of about 2m which gives you plenty of growing space while allowing you to comfortably access all the herbs. Mark out the circle which will later become your herb spiral, disturb the soil where your spiral will be, and start piling up soil on top. 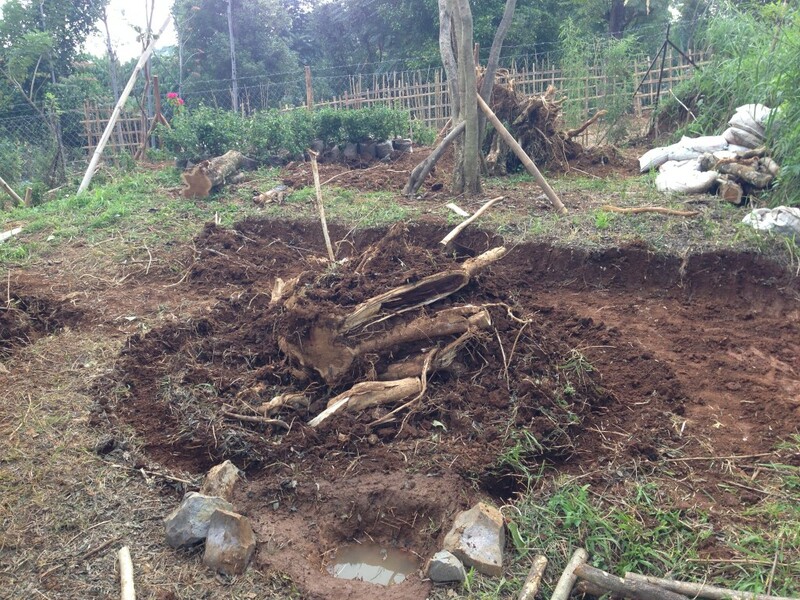 In the image on the right we chose to place the trunk of a felled tree at the bottom of our spiral – this meant we needed less soil, plus the tree trunk will retain moisture and release nutrients while decaying (on the downside this spiral will need to be topped up with soil once the trunk has fully decayed). As your soil starts piling up you can so begin laying the first layer of rocks. Make sure to select rocks that sort of fit into each other to get a solid structure. 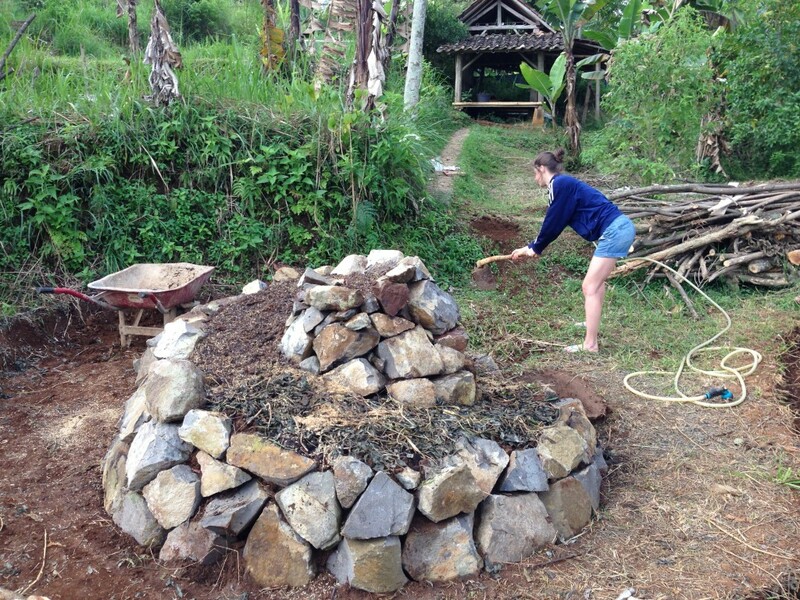 Also, when using natural rocks, aim for a slightly inward-slanted wall for extra stability (see the photo on the right). From here on just keep piling up soil and laying out rocks simultaneously and watch your spiral unwind. Once the basic structure of your herb spiral has been erected you can adjust the soil for your herbs’ preferences: add a good amount of sand and compost to the uppermost part, more compost and less sand to the middle, and pure compost to the bottom part of the spiral. Thoroughly mix the top 20cm of soil, then cover it with a good amount of mulch to retain moisture and prevent the soil’s nutrients to be burned up by sun exposure. Now you can equip your herb spiral with all your favorite kitchen herbs, either by buying mature plants, by raising plants in pots first or by directly sowing your herbs right into the spiral. The graphic on the top of this post is a useful guide, although there are of course many more herbs which you can include! I like to plant some mints and lemon balm who thrive in moisture at the very bottom of the spiral. Watch your herbs grow and enjoy a constant supply of kitchen herbs from now on! Thanks very much for this clever garden idea!